In the Charleston bridal/floral world, Sara York Grimshaw is a name that is synonymous with other-worldly beauty. Brides, maids, and moms swoon when her arrangements make their way into get-ready rooms and venues. She’s even more of a self-described “plant person” and is still waiting for that “plant-bride” to come along. . . Well, she’ll just have to settle for me for the time being. 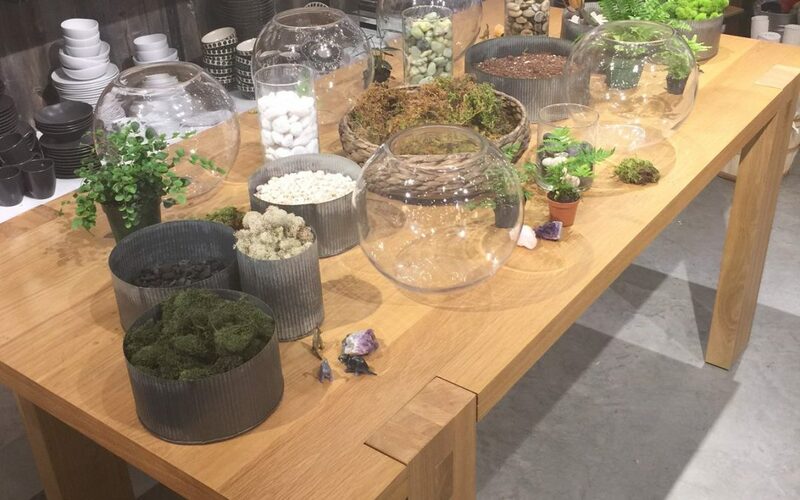 Her small downtown shop at 154 Cannon Street is like stepping into a plant-oasis. 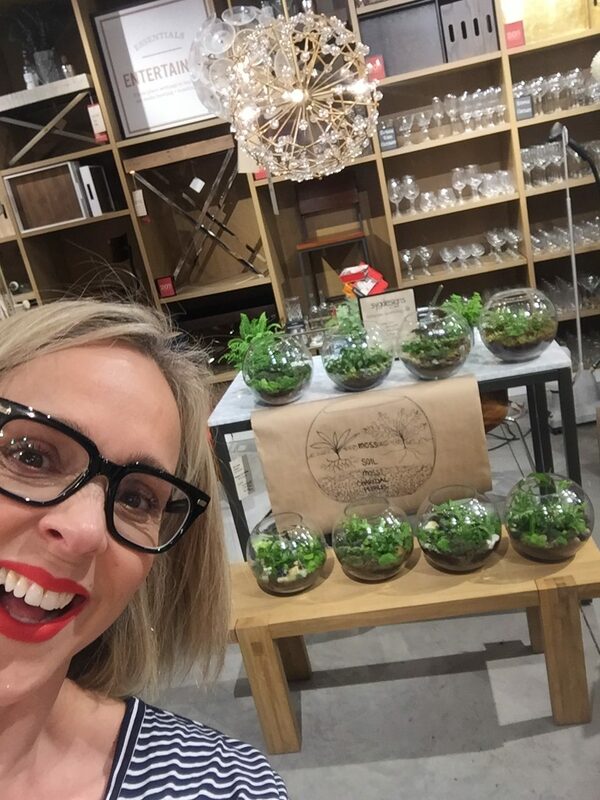 If you love greenery, living/breathing, oxygenating live stuff, you’ll love that place like I do. I found out about this workshop via Instagram! I follow both West Elm Charleston and SYG Designs and fortunately, it popped up on my feed. Thank you, Sara and Team for your kind patience, watchful eyes, and willingness to step in and help a girl out when her moss goes awry. 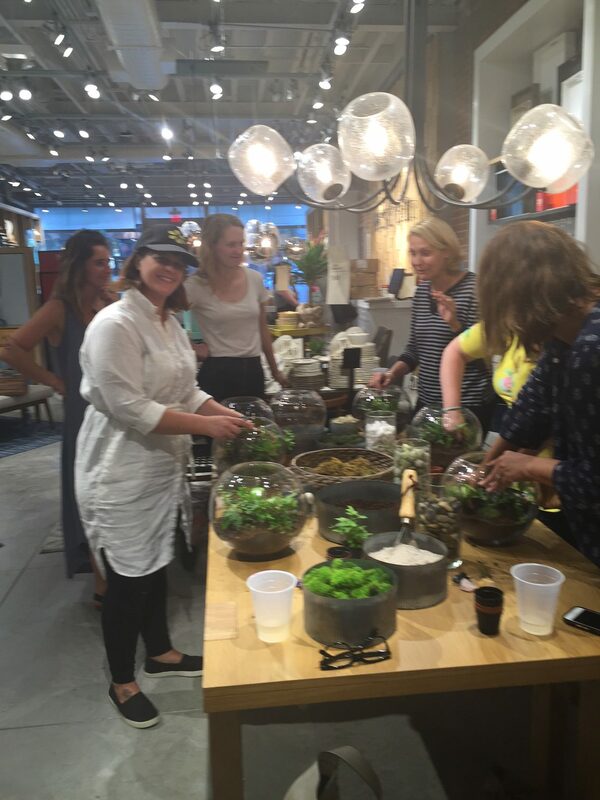 Thank you West Elm Charleston for hosting us among all your GORGEOUS wares (I WILL be back for bedding!). So, here’s how the night went: The photo above is the lovely workshop set-up I was greeted with. The illustration below was a quick primer to remind us of the order in which the terrarium ingredients were to be placed. Notice the small plants. . . better for these projects so you can see growth and progress. 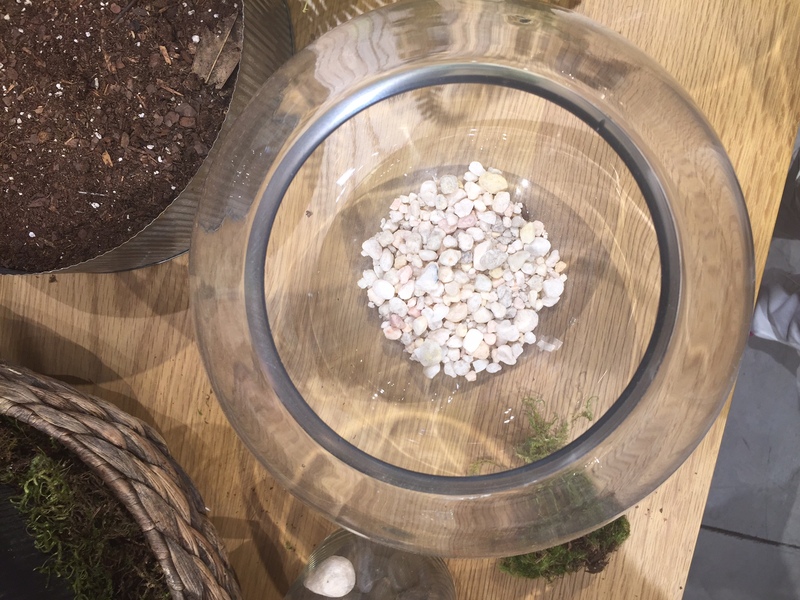 Fill the bottom of your container with pebbles to help with drainage. 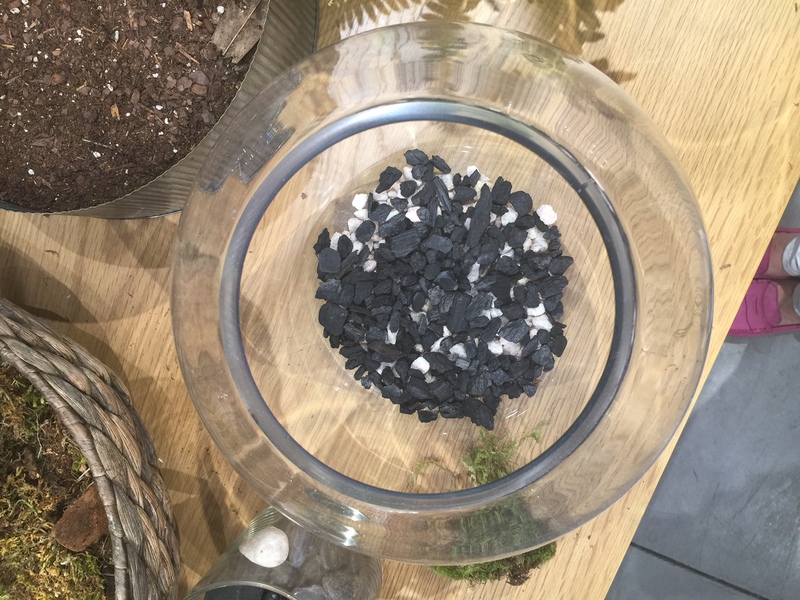 . .
Add some charcoal to help with absorption of water and to keep the moisture level in check. . .
Next, add moss. 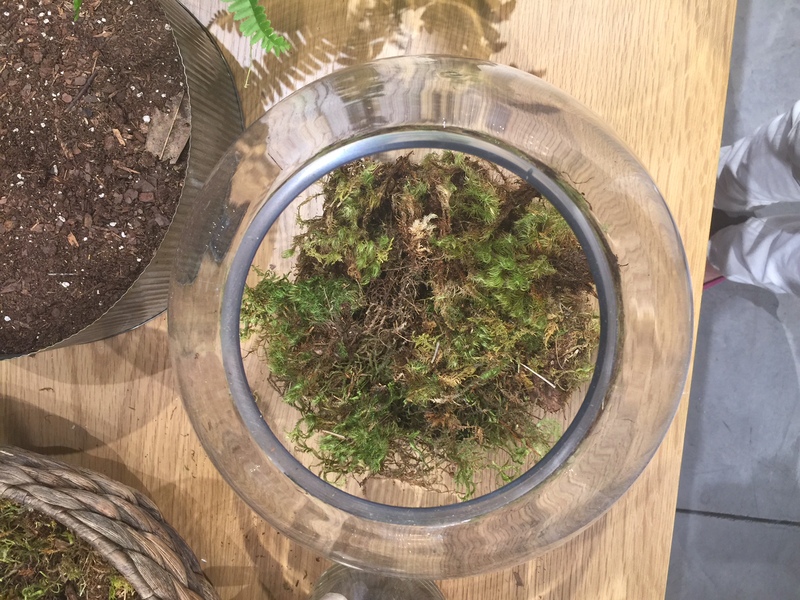 I love this rich, earthy, and freshly-harvested NC moss; but other types were available with great colors, too. 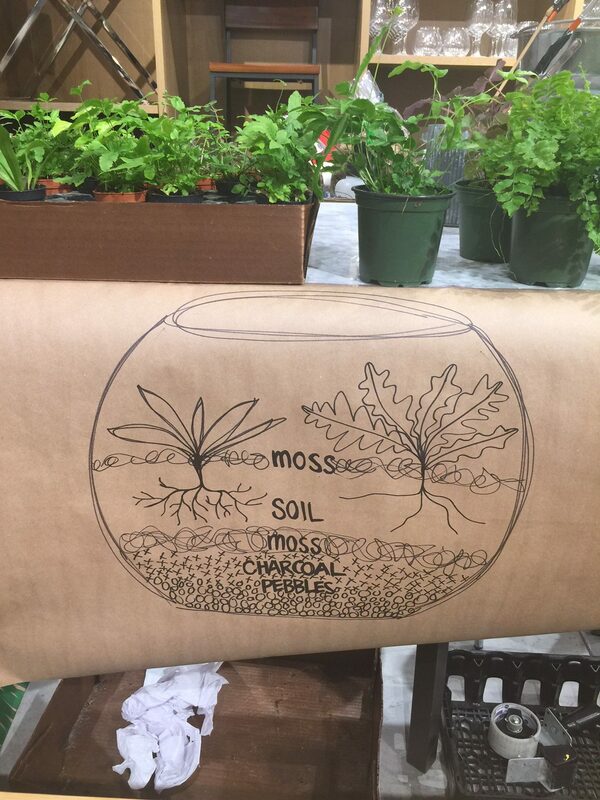 . .
Cover the moss with dirt, then nestle your small plants into the dirt + moss. Add more dirt to cover roots. . .
Here’s Sara and her team in action, fielding questions and ready to get hands dirty. . . These two ladies are librarians at Cane Bay Middle School. 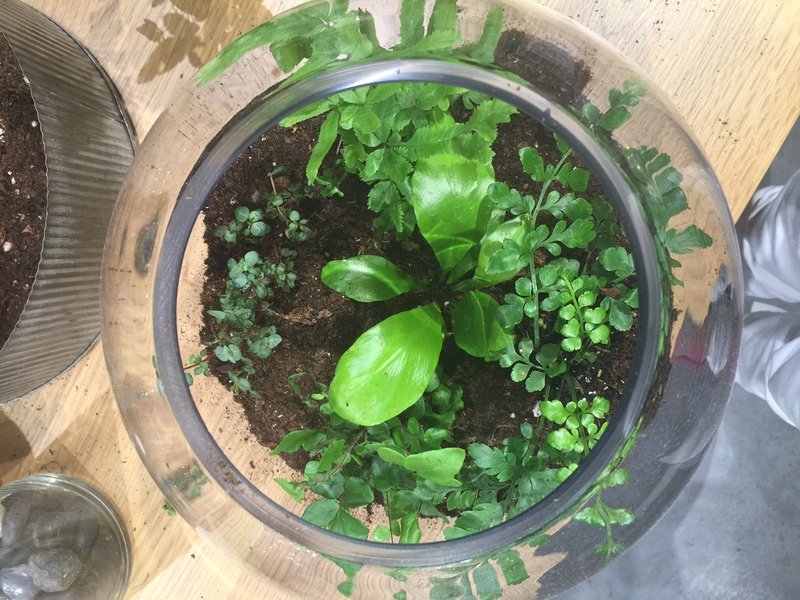 Their terrariums took shape quickly and beautifully. 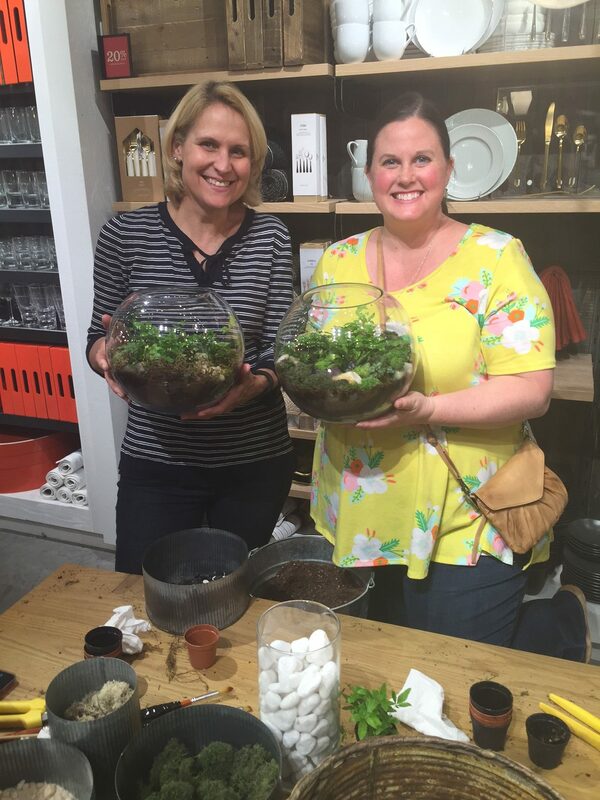 Me, photo-bombing all the lovely terrariums. . . terraria??? Hmm. . . what’s the correct plural form? Anyone? Bueller? Bueller?? I’m hooked, LOVE her work . . . Wish she was in ATL!! !